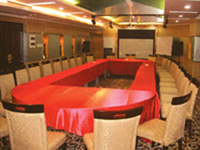 Located on Huang Pu Avenue and the opposite side of the Tian He City Hall, Run Du Hotel is a luxurious 4-star hotel with exceptional accommodation for both business and tourism. It enjoys a superior geographic location and speedy transportation. 5 minutes drive from Pazhou Exhibition Center(Canton Fair), it is also conveniently accessible from the international airport(only 30 minutes) and train station(10 minutes). Hotel opened in 2004, got it's reputation by new rooms and good services. 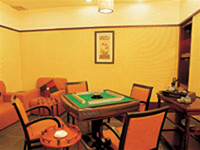 Run Du Hotel has more than 120 luxurious suites and standard rooms, providing an elegant and warm atmosphere. 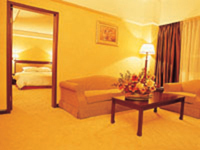 28 VIP rooms are available. 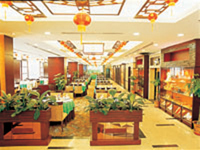 It is the ideal place for customers to hold banquets and entertainment Parities.